Old and failing windows compromise your home’s beauty, comfort, and energy efficiency, so be sure to invest in the better and lasting solution—window replacement. While costlier than repairs, this project offers many benefits that more than make up for the extra costs. In fact, window replacement remains one of the home improvement projects that offer a high return on investment. Renewal by Andersen of Andersen® shares some of these benefits that can reshape how you look at window replacement in Las Vegas. Reduced Need for Maintenance — Old and worn windows run the risk of failing, even after extensive repairs. The further expenses this results in will get old after a while. You won’t have this problem with window replacement, however. Newer units ensure lasting and reliable performance, which means you won’t have to go for repairs in a long, long time. Increased Curb Appeal — You can keep a lovelier home when you choose to get newer, better windows. They serve as great focal points while preserving your home’s historic and architectural accuracy. Renewal by Andersen® of Las Vegas, for instance, carries picture windows that best suit contemporary-modern homes, and bay windows that look excellent with Victorian-style architecture. For windows that work no matter the home style, try our double-hung and casement windows in Las Vegas. They’re available in your choice of colors, finishes, and grille options. Improved Energy Efficiency — Investing in window replacement helps you save considerably on energy. That’s because new windows have tighter seals that prevent energy loss. The windows’ framing material plays a large role in this. Renewal by Andersen® of Las Vegas, for example, uses exclusive Fibrex® material for sashes and frames. This composite features the strength and insulating properties of wood with the low maintenance value of vinyl, ensuring a durable, airtight seal. When combined with our High-Performance™ Low-E4® glass, your new windows ensure increased thermal comfort and energy savings. Window replacement doesn’t have to be the taxing project you might expect it to be, especially when you hire the right window contractors in Las Vegas, NV, for the job. 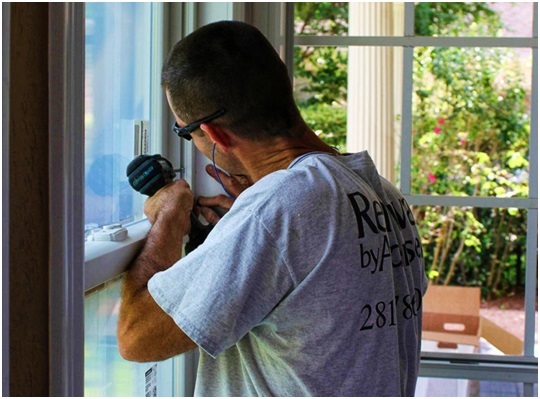 Turn to Renewal by Andersen® of Las Vegas for your window replacement needs. With our high-quality selection and expert installers, we’ll make sure your project runs smoothly from start to finish. Fill out our form today for a free estimate.